We were privileged to bring our artisan plastering services to a project in the Neo-Gothic St Pancras Chambers recently. 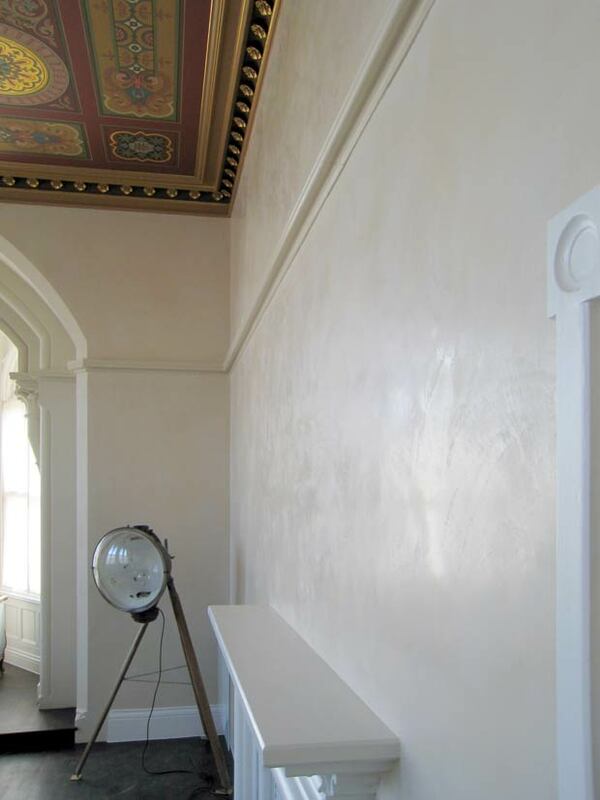 Our satiny-smooth Marmorino plaster in this cool tone provided the ideal contrast to the room’s ornate ceiling with its intricate gold mouldings and rich colour palette. Marmorino is similar to Venetian plaster once finished, but offers a subtler and more rustic tone – similar to Moroccoan Tadelakt. An entirely natural product, Marmorino is made from aged lime putty and crushed Bianco Carrara marble. Three coats and a final wax treatment ensures both protection and shine.